"No more fines or penalties!!! Trump took care of that!! Saved me 700 bucks this year!!!" "Trump removed the penalty for not having insurance." "I'm pretty sure Trump abolished the illegal penalty." They're right — and wrong. On Dec. 22, President Donald Trump did indeed sign a sweeping tax bill that repeals the Affordable Care Act's tax penalty by zeroing out the fines. Not so. 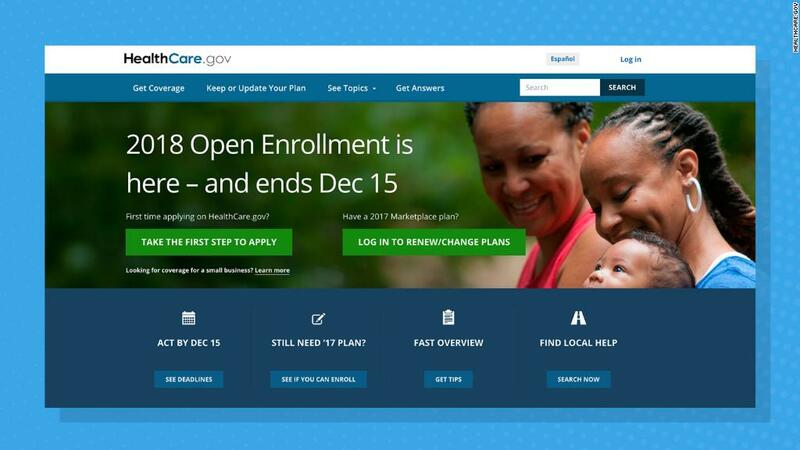 The penalty won't go away until 2019, and that means you still will owe Uncle Sam if you didn't have health insurance — or an exemption from the mandate — in 2017. The same holds true for this year. "There's just mass confusion out there," reports Steven Stasoiski, a tax accountant and insurance agent in Seal Beach, California. Some of his clients decided to drop their health insurance this year without consulting him first, thinking they wouldn't have to pay a penalty next year. "When they file next season ... they're going to be surprised," he says. One client, a family of four in Orange County, California, decided to go without insurance this year, and will owe about $15,200 next year because of it — roughly the same cost as a bronze-level health insurance plan that would protect them from catastrophic health insurance bills, Stasoiski says. Under Obamacare, most people must have health insurance or pay a tax penalty. For 2017, the penalty is $695 per adult (up to a family maximum of $2,085), or 2.5% of household income, whichever is greater. The penalty for children is half the adult rate ($347.50). You can avoid the penalty if you qualify for one of the health law's several exemptions. For instance, you may be exempt if you were uninsured for less than three consecutive months of the previous year, if your income is low enough that you're not required to file a federal tax return or if you belong to a health care sharing ministry. But if you don't fit into one of the exemption categories and you were uninsured in 2017, or will be in 2018, you're probably out of luck, says Alison Flores, a principal tax research analyst at the Tax Institute, the research wing of H&R Block, based in Kansas City, Missouri. "If you have a penalty and you're due a refund, that penalty reduces your refund," she says. If you owe a penalty but aren't owed a refund, and then you decide not to pay the penalty, the Internal Revenue Service may take it out of a future refund, she says. The IRS says that this year, for the first time, it will reject electronically filed tax returns that don't address Obamacare tax penalty questions. If you file a paper return and don't address those questions, your return could be held up and a refund delayed, adds Michael Eisenberg, a certified public accountant with Squar Milner in Encino, Calif.
"They are saying, 'This is the law, and you have to comply with the law while it's the law,'" he says. "They are going to enforce the penalties." But you don't need them in hand to complete your taxes, which are due on April 17 this year. "You should have other substantiation that you had health insurance," such as W-2 forms, Medicare cards or explanations of benefits from your insurance company, Flores says. On the other hand, you must have a correct 1095-A to complete your taxes. If you're a Covered California enrollee — or buy your insurance through any state or federally run health insurance exchange — you should have received your 1095-A forms by Jan. 31. If you're still waiting for yours and you're a resident of the Golden State, log on to your Covered California account and check your inbox. You should find a copy of your 1095-A there, says agency spokesman James Scullary. If that still doesn't help, or if your 1095-A form is incorrect, fill out a dispute form, which you can find under the "Members" tab of the Covered California website at www.coveredca.com. As always, when it comes to Obamacare and taxes seek the aid of a tax professional. If you can't afford it, multiple programs offer free tax help, including the Volunteer Income Tax Assistance program, run by the IRS and the AARP Foundation Tax-Aide program.